"When I say 'it is what it is' I mean that there are some things we can't change, like we can't change other people. And, if you come across a situation where you can't change it, (then) to me recognizing that it is what it is fires me up to find out what new path I should be taking or how I can get to the end goal without having to change that one particular thing that isn't within my scope to change." "I do eat keto; however, I think the critically important thing is everyone has their own take on it, and I think that everybody needs to have their own take on it... We're all individuals. None of us have the same genetic makeup. None of us have had the same environment. None of us have had the same stresses on our body. None of us have had the same diet to this point. So, it makes absolutely no sense to me that any one diet is going to work for every person, and in my experience the way I do keto is not going to bring magical results to everybody." I used to do eccentric exercise once or twice a week, and I would do high intensity on a bike once or twice a week. However, I have been challenged in the last little while because I have been struggling with Lyme Disease... For a long time I haven't actually had the energy to go to the gym." Carrie has now killed the Lyme Disease, got back to exercising with the help of Danny Vega, and is now lightly exercising with a series of calisthenic exercises. She talks to us about the importance of exercise regarding bone and muscle health as we age, as well as the extreme importance of the dreaded "Leg Day". As we found out, it should be "Leg Days". "Just really the diet for me was absolutely key in literally finding peace of mind because my brain was being nourished to the level that it needed to function properly. So, literally I got peace of mind three and a half years ago with the methylated B vitamins and the ketogenic diet." Carrie used to work in Corporate America for a Fortune 500 company in Seattle, WA. When the company downsized she figured out a way to flip her financial situation around by selling her home in Seattle and moving to Connecticut where she now lives. Carrie is writing full time, and working for herself. Beyond the diet and vitamins, she has found peace of mind by alleviating the stress of her financial situation. Hers is truly an inspirational story. Carrie also encourages people to take a closer look at their own situation because they may have a lot more financial freedom than they think. 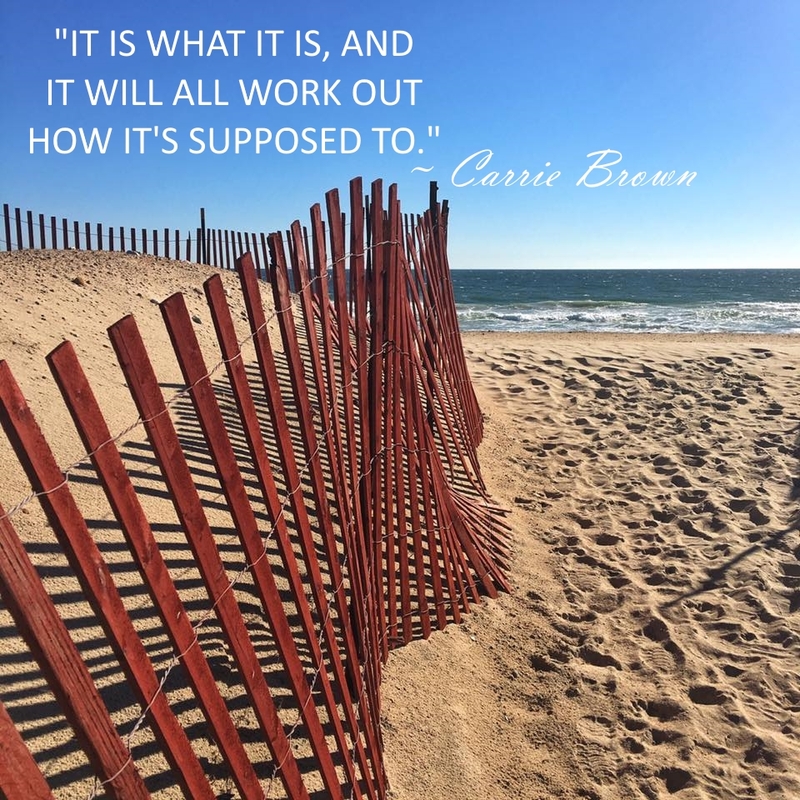 Carrie now adapts and overcomes to the challenges and obstacles by spending some time in nature, finding her solitude, and knowing she finally has her peace of mind for the first time in her life.